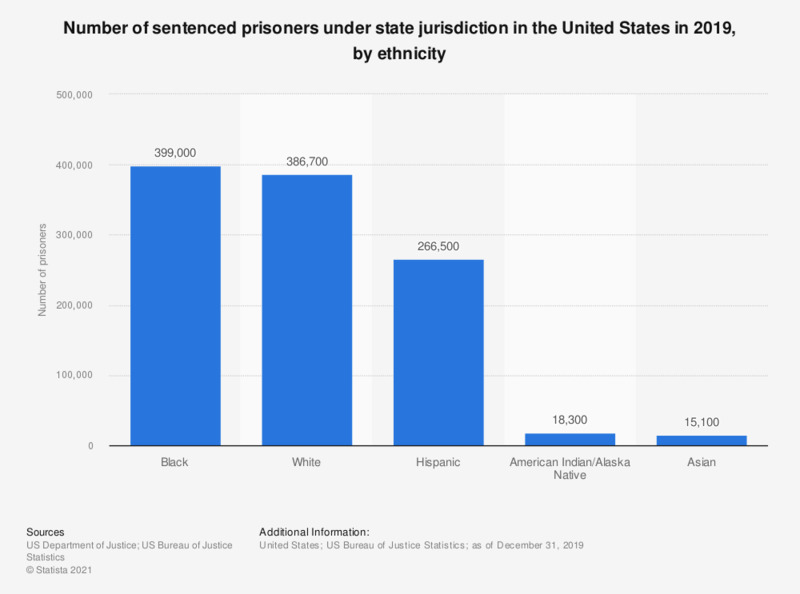 This statistic shows the estimated number of sentenced prisoners under state jurisdiction in 2015, by ethnicity. As of December 2015, about 278,600 prisoners, who were sentenced through state jurisdiction, were of Hispanic origin. *Estimation. U.S. total includes federal prisoners not distributed by state and prison system. For years ending December 31. Everything On "Prisoners in the United States" in One Document: Edited and Divided into Handy Chapters. Including Detailed References.